Guest post by Amy Ahrens Terpstra, Senior Director of Network Partnerships at United Way of Salt Lake. 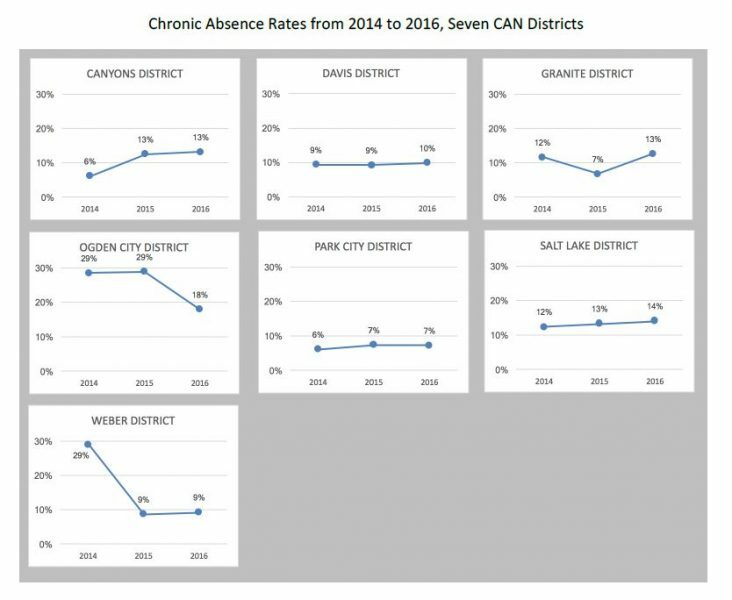 Across districts in the Promise Partnership of Salt Lake, chronic absence rates range from 7 to 18 percent, with persistently higher rates for low-income and Latino students. 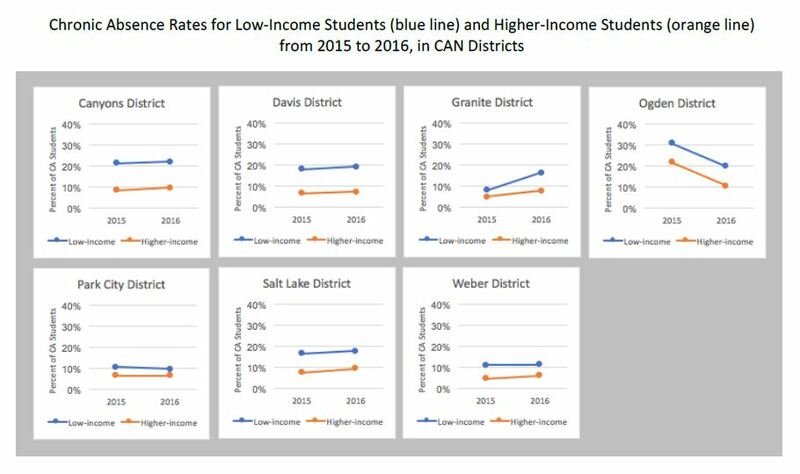 United Way of Salt Lake (UWSL) recognized that chronic absence is a significant driver of academic achievement, and that reducing chronic absence could mean measurable academic gains. UWSL embarked on a one-year collaboration with StriveTogether to engage six school-based teams in an Impact and Improvement Network (IIN) focused on chronic absence. These networks are designed to help achieve measurable progress on an outcome or key driver while building the capabilities of partners to continue to make rigorous improvement part of their everyday work culture. UWSL and StriveTogether designed the Chronic Absence Impact and Improvement Network to build the capabilities of both UWSL backbone staff and external partners. Below, UWSL team members reflect on their experience. I knew that Lincoln Elementary had been working on strategies to address chronic absence prior to my tenure. A handful of talented and committed individuals were coming together to implement solutions — without the resources to systematically test and study them or to engage the key stakeholders most impacted. This reinforced my broader observation that often community school directors work in environments where decisions are by necessity made quickly, without resources for a theoretical framework to guide decision making or implementation. The Impact and Improvement Network equipped our Lincoln Elementary team with that framework and concrete methods and tools. These all helped in developing strategies clearly linked to key drivers of absenteeism and interventions molded around the needs of parents and students. We learned how to test our interventions and in doing so created a sustainable system for tracking chronic absence at the school. We are happy to report that Lincoln Elementary had one of the highest attendance turnarounds in the school district. 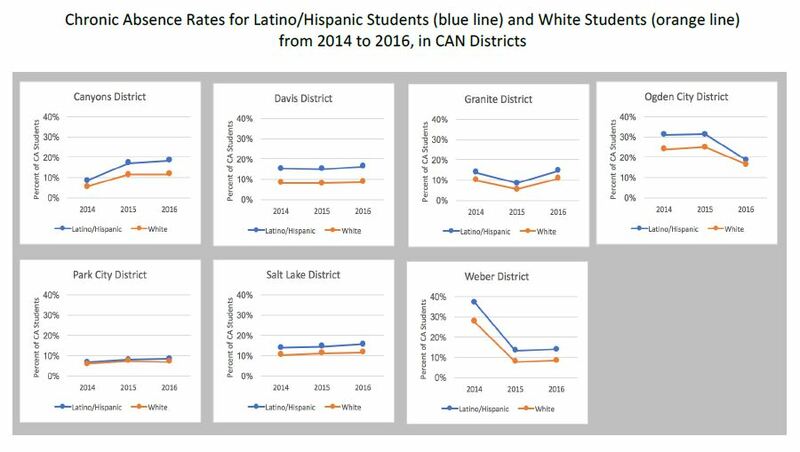 Chronic absence rates fell from 27 percent to 11 percent for students requiring special education and from 10 percent to 7 percent for refugee students from the end of the 2015-2016 school year to the end of the 2016-2017 school year. We decided to take full advantage of the Impact and Improvement Network and create an opportunity for other UWSL backbone staff not involved in school-level partnerships to also participate. Two data team members, our COO and several staff who lead collaborative action networks and school partnerships identified a common challenge — meeting quality — and worked alongside the school-based teams to systematically work through the improvement process and conduct small tests of change to improve it. Through the interventions we tested via several plan-do-study-act cycles, we improved meeting quality in five areas including starting and ending on time, defining roles, and assigning action commitments. We also shifted our shared approach to internal conversations in ways that have allowed us to continue to increase the frequency of our desired meeting behaviors. Participating in the Impact and Improvement Network deepened my understanding of continuous improvement and the that this way of working presents. This has built my capabilities and confidence to lead networks through improvement processes. As the Impact and Improvement Network comes to an end, we’re also being intentional about creating avenues to support and continue the school-based work. I facilitate and support a regional Chronic Absence Collaborative Action Network, and I am connecting the school-based teams from the Impact and Improvement Network with their respective district-based team from the Chronic Absence Collaborative Action Network. It is our hope that creating multi-tiered teams in the Network will accelerate progress toward dramatically reducing chronic absence in our region, since teams will now be comprised of school-level people and district-level people, each of whom has different spheres of influence for creating change. Continuous improvement is one of United Way of Salt Lake’s core values. The adoption and integration of what we learned during the Impact and Improvement Network has laid the foundation for strengthening our organization and making continuous improvement part of the fabric of our culture. In fact, we’re rolling out an organization-wide plan to build staff confidence in using in all of our work — from resource development to human resources and from the CEO to new hires — to improve our ability to impact our community.We hope that providing a flexible but robust framework for staff to accelerate their successes will ultimately lead to increased employee retention, stronger supervisory relationships, , greater accountability and, ultimately of course, better results for our community.